In our multi-part series breaking down some of the best shoes currently available to tennis professionals, we looked at three of the top tennis shoes for competing on grass courts. These shoes all possessed excellent traction along their undersides for the most in grip while making quick lateral movements. 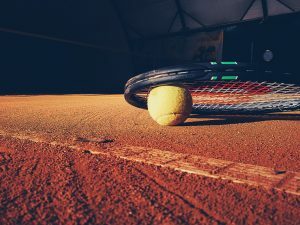 Today, we will be talking about some of the best tennis shoes specifically designed for clay courts, so that you will be able to learn about some of the unique characteristics that make the tennis shoes outlined below more effective for play on clay surfaces. 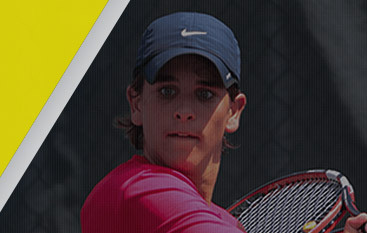 If you are a seasoned tennis competitor and you are looking for the best tennis academy in California for elevating tennis players to the next level of competition, look no further than Gorin Tennis Academy. We are a certified member of the Global Professional Tennis Coach Association, allowing us to teach the top methods and techniques used by professionals around the world. 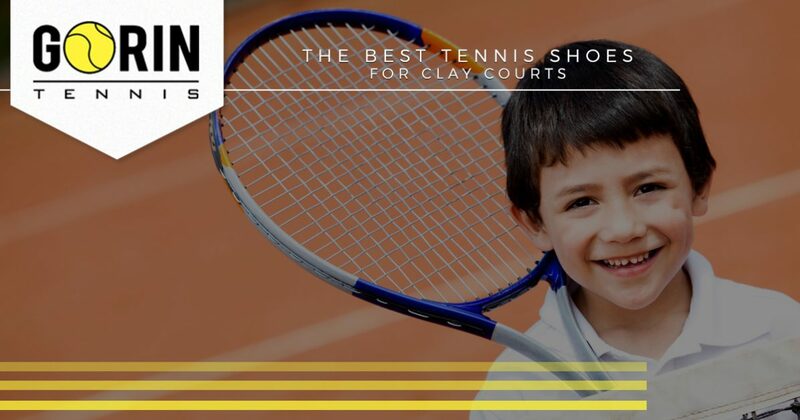 If you are considering purchasing a new pair of tennis shoes for clay playing surfaces, read more below before moving forward with your purchasing decision! Adidas has been one of the leading shoe brands used by a number of professional tennis players, and has recently released another promising shoe for those competing on clay tennis courts. The Barricade 2017 is completely fabricated by an incredibly breathable knit upper, while the midfoot sports a durable section of rubber designed to support your ankles while making explosive movements on the court. With an intricate zigzagging pattern that runs laterally across the outsole of the shoe, the Barricade 2017 is a great choice for those that value traction above all else. If you are curious about the quality of Adidas’ Barricade 2017, you will be pleased to know that this style of shoe has been worn by tennis professionals for more than 15 years. The latest offering from Adidas’ Barricade tennis shoe line is truly one of the best shoes available for those that play often on clay courts. There is good reason why Nike has remained as one of the top tennis shoe brands since making their way into the world of tennis, and their Zoom Cage 3 is just one of the many shoes to add to their collection of superlative footwear. The Zoom Cage 3 was designed to offer the most in comfort while still being incredibly lightweight for the most in foot speed. Similarly to other tennis shoes, the Zoom Cage 3 features a fortified heel so that your ankles stay well protected as you make quick adjustments on the tennis court. The outsole of the Zoom Cage 3 provides plenty of support for your feet while its herringbone sole pattern is best suited for the highest degree of traction during competition. For this reason, if you are looking for a stylish shoe that allows for an extreme level of performance, the Zoom Cage 3 is sure to impress. When it comes to competing against the top tennis professionals, you need a shoe that willallow you to generate an exceptional level of power without sacrificing foot speed. One way this can be achieved is by blending a lightweight midsole and upper, with a sturdy outsole that is capable of providing the most traction possible. Fortunately, Asics has designed a hybrid tennis shoe while being mindful of both power and speed. The Gel-Resolution 7 sports a similar herringbone outsole that can be found in the Zoom Cage 3, but adds several rows of grooved patterns to ensure that you remain on your feet at all times during competition. With a fortified midsole designed to compensate for great deals of force when moving side to side quickly, and a breathable toe to keep your feet cool during play, you will love how multifaceted Asics Gel-Resolution 7 truly is. In our next article on the top tennis shoes currently available, we will be looking at some of the most well equipped shoes for hard court surfaces. 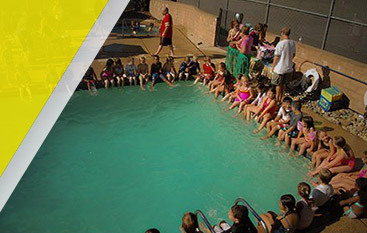 To learn more about our available tennis camps, training programs, or what sets us apart from other tennis academies, contact Gorin Tennis today! 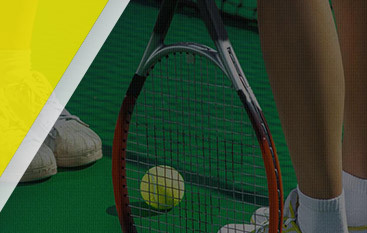 We are Granite Bay’s best tennis academy, and work with a variety of athletes ranging in both age and skill. Visit us online to register now!